These 2 macaque monkeys, Yat-chan and Fuku-chan are not your ordinary monkeys. Fuku-chan is trained to hand hot towels to customers to clean thier hands, while Yat-chan can actually serve drinks to customers. While this is really amazing, it brings up the issue of animal rights. 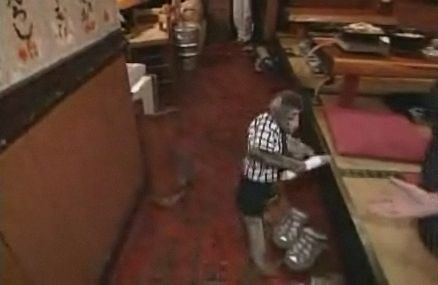 Should these monkeys be working in a restaurant let alone be pets? I guess this is what they mean by working for peanuts… or soy beans in Japan.